Journeys are incomplete without travelogues. People generally question us - what have you done in your life that you have no time to spend and enjoy life? That’s something worth pondering! You run behind your work that offers you the bread and butter of your life. But all these while, while you were earning your bread and butter you eventually forget the purpose of your life. Well, that’s the case with each one of us. As humans we prioritize things that are important to us. Thus family and work have high ratings on our priority scale. But there is one important aspect of life – you actually live life when you enjoy every moment of it. Why not explore the enchanting beauty of different places in our country? Well there are many places to explore around the globe. I’m not a globe trekker for sure but at times we can visit places nearby. How about taking a week off and visit the country side! Well, Well, Well! I too got deeply provoked by this thought and decided to spend most of the May by visiting some marvelous places across the coastline of India. The most difficult thing in planning a trip is deciding the destination. Konkan had been serving as a weekend stress buster for me and my friends since last few years. We love the exotic beaches there! 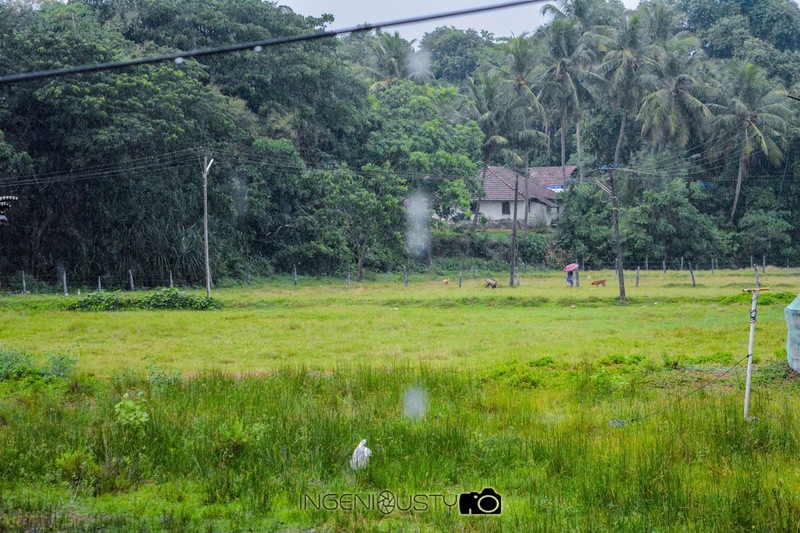 There is something amazing about Konkan that keeps us wanting to go there again and again! For me occasional trips serves as a great stress buster. 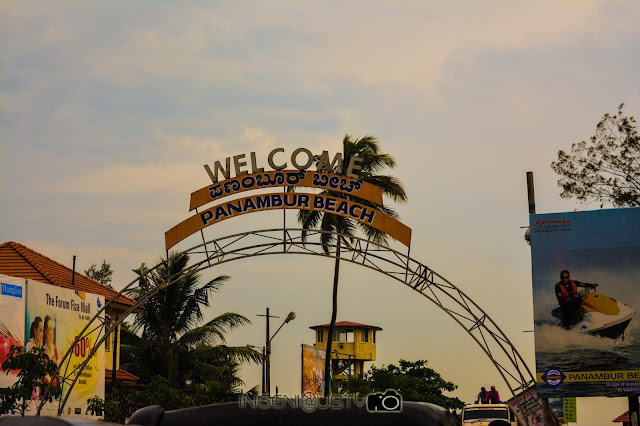 But this year, I decided to explore Mangalore, one of the port cities of India. 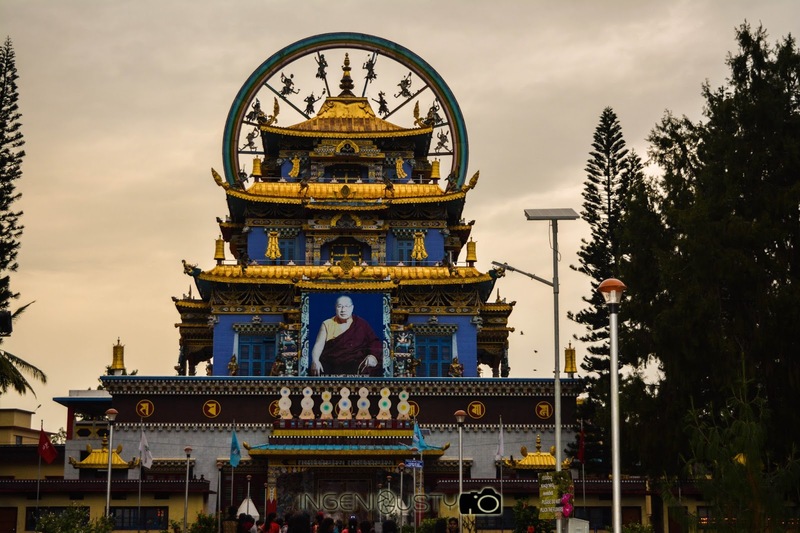 Mangalore is located in the Dakshina Karnataka region in the sandalwood state of Karnataka. Its kissed by the Arabian Sea from the west and caressed by the Western Ghats from the east. This city is notorious for many things. Few of them include food, beaches and culture. Having been surrounded by Mangloreans from the early days of my life, I am accustomed to the culture there. I had last visited that place when I was young. I have faint memories of what I had seen there when I had visited that place in the early 90’s. But now things had changed. After my solo trip to Jaipur, Goa and Chennai, this was supposed to be the next in line. It was Mangalore time! I usually prefer travelling by train. Rail journeys sometimes make you meet some wonderful people in your life. Believe me if I say that two of my best friends are the ones whom I met in a train. As the train cascades through the track, it leads us through a beautiful trail that contains the mesmerizing rivers, lovely villages and adorable kids who wave their hands every time the train passes through their village. Cute, isn’t it? On the other side Airlines charge bomb so I didn’t want to hurt my wallet so I chose the railway. Luckily I got my cousins staying there so accommodation was not a problem at all. I love travelling alone. I booked the tickets for the Mangalore Express train. May 9, 2015 - The day had arrived when I was to be freed from all my work and associated stress. Of course, this was a much needed vacation. I don’t belong to the breed who love working day and night, weeks and weekends! I boarded the train and sat on my seat. I never had much luggage’s. My photo partner Nikon was my best buddy. I always carried him wherever I go! I clicked some photos of things that fascinated my eyes. It was an overnight journey but the train was late by 2 hours. As my train halted at the Mangalore junction, I saw my cousin waving at me. I sat on his bike and we both head for his home. As I sat on the bike, I could feel the sudden cool breeze kissing my hair. May be that’s how Mangalore had planned to welcome me. I reached home, exchanged some pleasantries with my folks and rested. After an hour, I refreshed and Aunt had called me for breakfast. Mangalore was 950 km away from Mumbai but I still didn’t miss home. I strolled outside and admired the beauty of the place. It was scenic beauty. But then it started raining! Though my dalliance with rains isn’t amusing but still at that moment I loved it. That day I just rested and watched some TV. The next day, I decided to explore the Panambur beach. 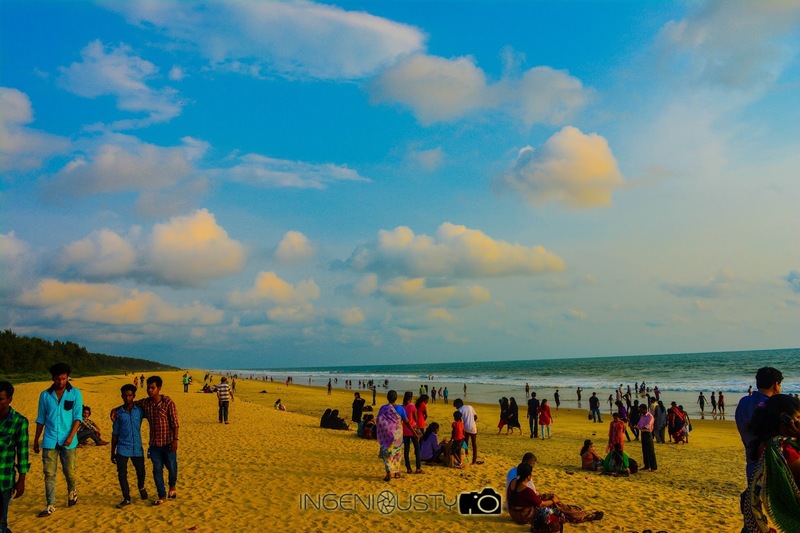 This beach is one of the cleanest beaches in India that is located near the port. Many people visit the beach at evening. I too had visited the same with my family. There are buses that go past that place. Probably one could use them for reaching the beach. I used my cousin’s bike to go there. It was a small beach. It was not crowded like most of the beaches in Mumbai. It was calm and pleasant. I sat on the beach and admired the sun set. There were few food stalls located nearby. I looked around and my eyes came across a hoarding outside a shop. They claimed to show a glimpse of dolphins in the middle of the beach. That was intriguing but it costed more than my too and fro train tickets. It wasn’t a nice idea to travel to the middle of the sea just to see some dolphins. I clicked photos of the sun set and then I met a camel with its cute owner. He was a young boy, may be around 14. I thought of striking a conversation with him. His story had touched my heart. “So how much do you earn every day?” I asked. “Not much. Half of the amount is given to the owner and what I get is nothing but pea nuts,” he riposted. “So how much for a ride?” I asked. “Okay. So take us for a ride,” I said to which he agreed with a smile. My brother snapped at me saying that 200 was too much for a ride. I smiled at him and put my arms around his shoulder. Sometimes money can’t buy everything but for some it can buy happiness. 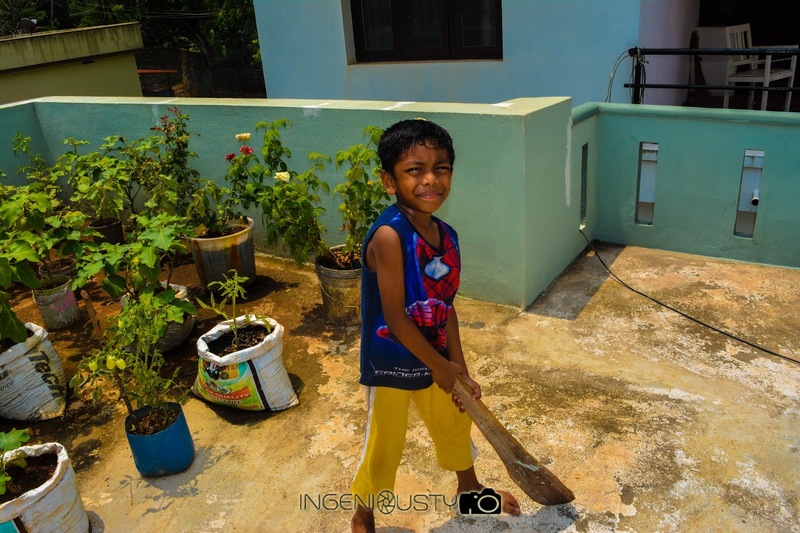 200 was not a big amount for me but for the little boy it was something that could help him. By God's grace we have everything that we wish for. Thanks to our doting parents who offer us what our heart wishes for. 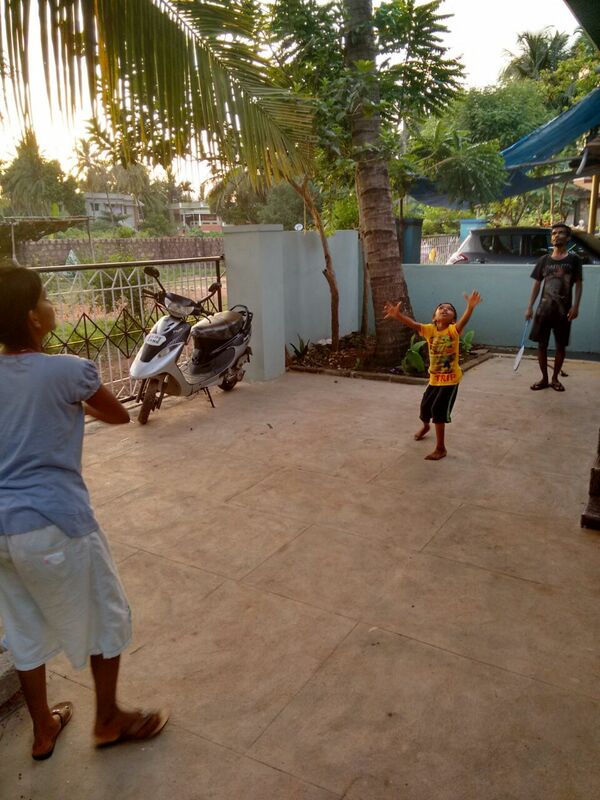 But think about these kids. Even they must be having lots of dreams in their eyes. But certain obstructions like Family conditions and poverty persuades them to leave and studies. As a result of this all they could do is to find any job worth doing and support their families with the little money that they earn. I was in fact happy to give him that much money. I really wish he succeeds in life. That's me searching for something. Clicked by my Bro! As I handed him the money he glanced at me and thanked me. All that I could manage was his photograph. He was indeed a cool guy! Then I head back home and rested for a while. 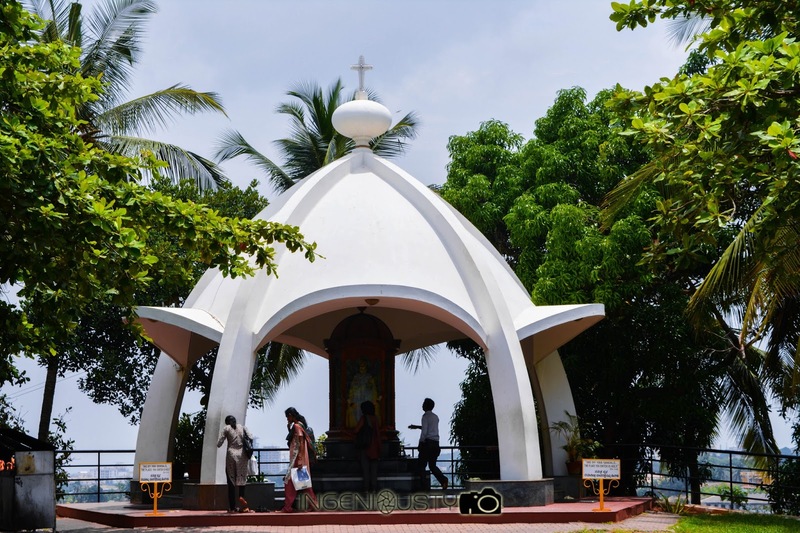 The next day was the time to visit the infant Jesus church located near the Carmel Hill. I along with my Cousins visited the Infant Jesus church for the Tamil mass at 11 AM. I had a chance to click few photos after the mass. Evening was time for the bike rides. I along with my cousin would ride along the Mangalore streets and visit the different shops and flea markets. We also visited the KFC’ and the McD’s that came on our way. So it was a week full of peace sans stress and was indeed refreshing. That day I retired to bed very early. I had to visit too many places at a very short span of time. I just had one week’s time to traverse the length and breadth of the city. The next day it was the time to visit the Pilikula zoo. Pilikula as the name suggests refers to Tiger – Lake. It was the place where ages ago tigers used to visit the lake to drink water. But later a zoo was constructed in that forest area. Pilikula can be reached via bus. It would not take more than 1 hour if travelling via bus. It took us two buses to reach Pilikula , one from Kottara and then the other one at Lal Bagh. 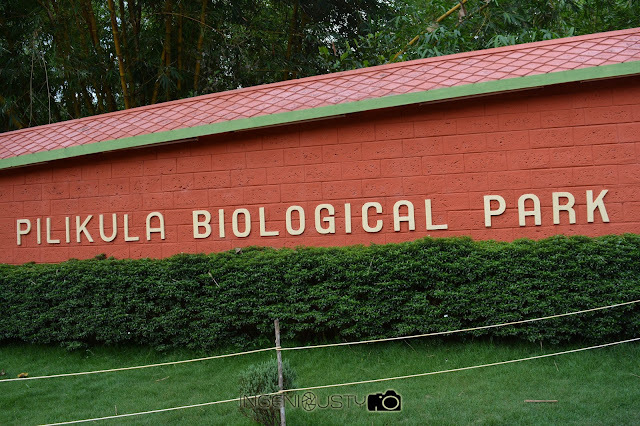 The Pilikula Biological Park extends over an area of around 350 – 400 acres that hosts several breeds of animals and birds. I was accompanied by my cousins and their children. We meandered around the park for a while. We walked towards the area that sheltered the birds. The cages had different types of birds. See the photos below. We also had a chance to view the roaring tigers, mighty lions, adorable deer’s, romantic crocodiles, sloth bears, wild boar, alligators and snakes in the Pilikula Biological Park. The children loved watching the animals. They were visibly excited. We left the park late and reached home at around 8 pm. On our way back, we visited a fast food joint and had some delicious Chinese food items. The next morning we got up early. Aunty had already spoken to a travel agent who agreed to take us to Mysore to visit the Mysore Palace and other places nearby! As discussed the driver came home at 4 am. 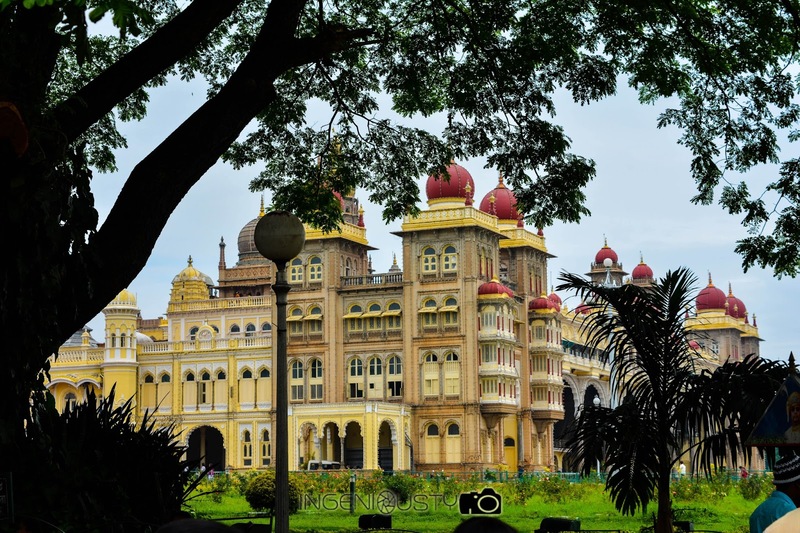 Mysore was located at a distance of 265 km from Mangalore. It was a 6 hours journey from Kottara. Generally people stay back at Mysore to explore the places there but as I had come on a short notice for me they all agreed to return back on the same day. During the trip was fun. We sang and danced as the Tourister van sailed along the Western Ghats. The road resembled the F1 track and it was scary. We visited the Mysore Palace as we reached our destination. 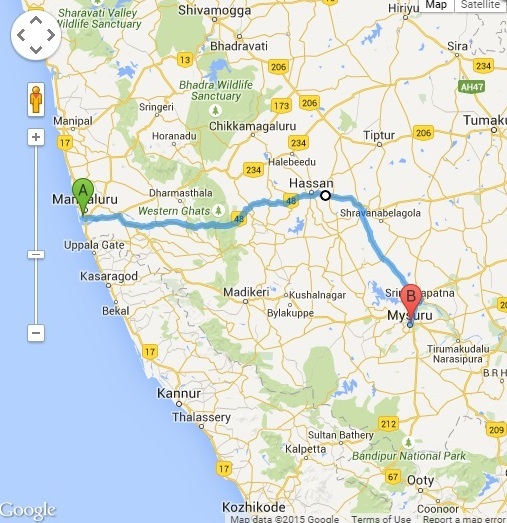 We took the NH17 route and the Mysore Highway on our way. Mysore Palace is elegant and a class apart. The architecture of the palace was mind-blowing. I just watched it with my mouth agape and couldn’t believe my eyes. I also visited the residence area of the Palace. The paintings were neat and we saw the photos of the Kings and the Queens who lived there. While leaving we clicked a family photo in front of the Palace. 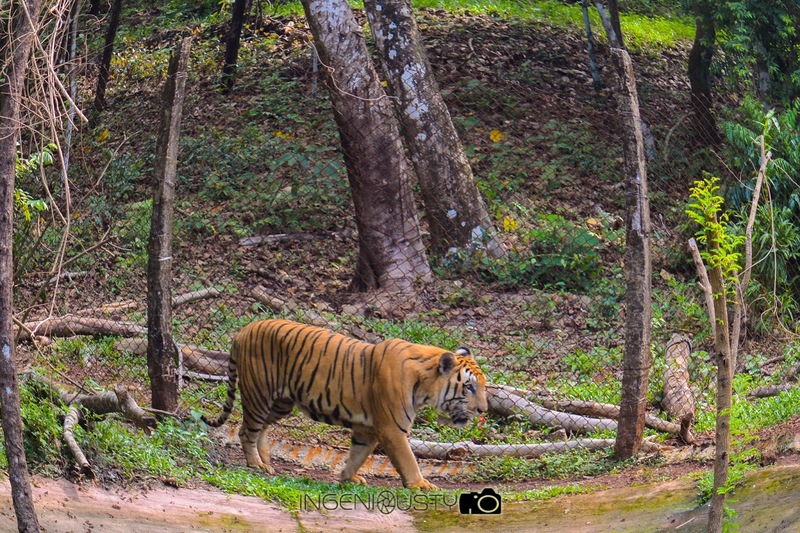 Our next plan was to visit the Mysore zoo but the Rain gods had some other plans. It rained heavily as we went to the ticket counter. Also our plan of visiting the Vrindavan got cancelled. Dejected, we decided to go back home, cursing the rain gods for spoiling our plan. On our way back as the rain stopped pouring, we visited the Golden Temple, a Tibetan Monastery. We went inside and clicked some cool pictures. We even clicked photographs with some of the monks there! 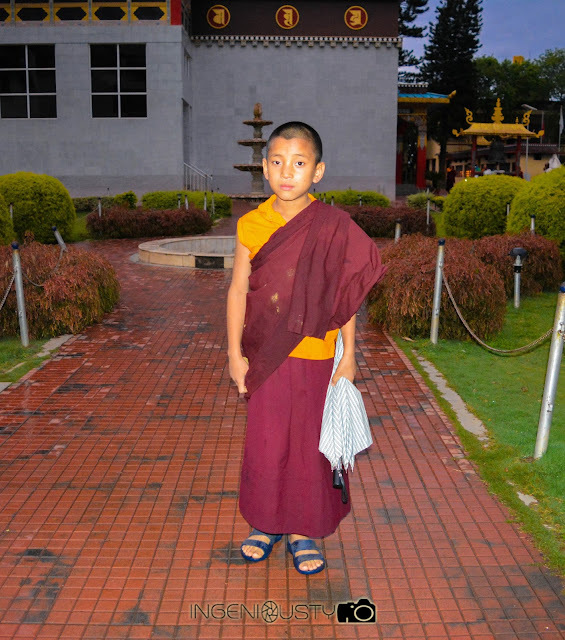 A cute little Monk posed for us too. 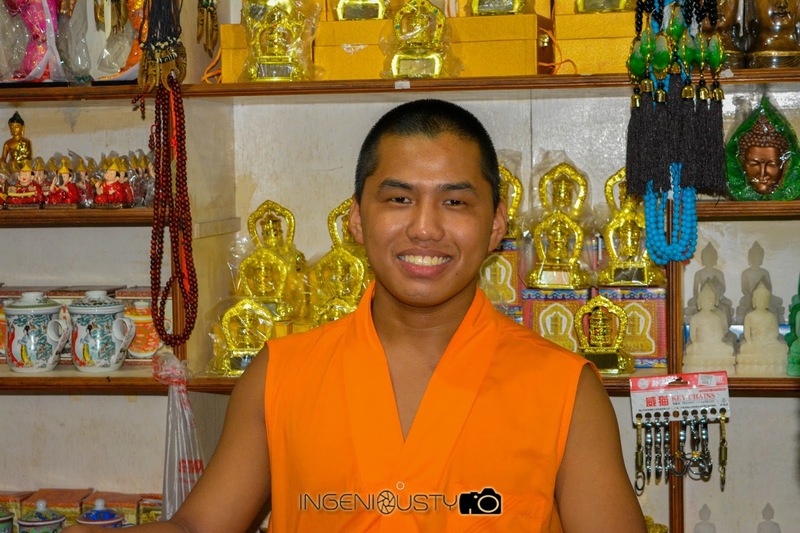 We shopped in a store nearby and we met Pofu, a charming handsome monk who was witty and at the same time knew how to sell his products. Finally we returned back home at 11PM. The road was dangerous. The driver had to be given full score for safely transporting us from Mangalore to Mysore and back. The day after, we didn’t have any plans. 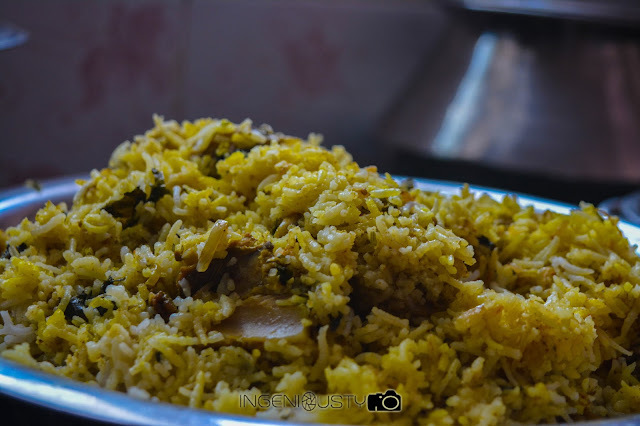 We stayed back home and enjoyed the day by cooking Chicken Biryani. It came good and was delicious! 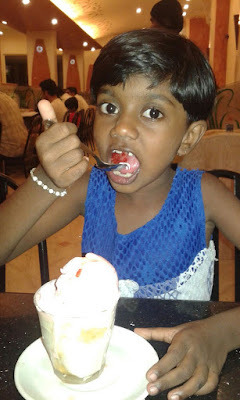 The same evening we visited Pubba’s – an icecream parlour which was well known in Mangalore. People from Udipi and Manipal even visited that place for some quality ice cream. The next day it was time to visit another beach. We visit the Tannirbhavi beach. To reach the beach we had to take a boat that would ferry us from the stop to the place where the beach was located. We had to wait in queue for this. But finally after 20 minutes we got our turn. Tannirbhavi beach. On our way to Tannirbhavi beach, we also got a glimpse of the Sultan Battery that was used by Tipu Sultan for his secret missions and communications. 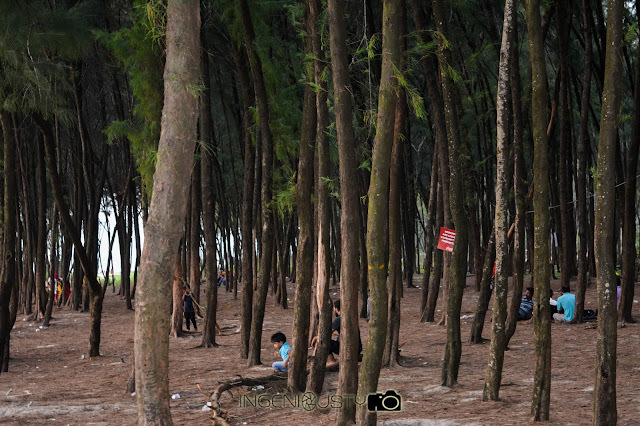 There were lots of tall trees located near the beach that actually accentuated the beach. The tall trees and the greenery around beautified it. We went ahead and stepped into the waters playing with the waves and clicked some photos. 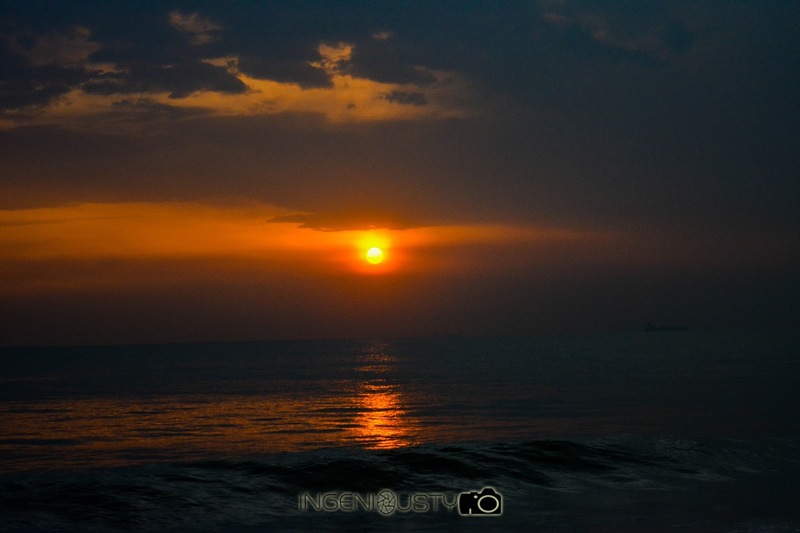 That trip summed up my short Mangalore trip. The same night at 11 PM, I was destined to travel back to my nest through the Mumbai Express. It was indeed a special memory for me as I had visited the same city earlier during my crawling days. I was emotionally attached to this place and it served as a good break from office. That break was a much needed one and thankfully I felt lucky enough to visit Mangalore. And we had some family time together! The best part about this place is that you could find inner peace if you wander around unlike Mumbai. Mumbai is a fast moving city where people do not have time to stand and stare even at their loved ones. It is the city that never sleeps. I love my city and it equally loves me back. The best thing about Mangalore is that I see a glimpse of Mumbai in it. People in Mangalore are friendly and helpful. They get excited and amazed when they get to know that you are from Mumbai. That's the best part of it. I got lots of memories from this trip. Few of them I have shared through the few photographs I have added in this blog post. We wander from places to places and what we get in return are the memories that our mind registers. These memories are kind of souvenirs that we won’t wish to forget. Every time whenever we see the photos that would take us back to the memory lane. It is a land of curry and fish lovers. It is known for food and I got to get a glimpse of some amazing food and I tasted neer dosa, crab curry, rice rotis and may more food items. Mangalore had many more fascinating places but due to paucity of time I just had to visit few selected ones. May be next time I will come for a longer duration and explore more places. But this trip will reside forever in my memory! And I too travelled to mangalore with you without a ticket. Oh then you should have come and said a hello to me! You really enjoyed the trip to Mangalore! And I got a second hand experience of visiting the place via this amazing blog post! The pics that you supplemented the post with are really awesome! I specially liked that part in which you spoke to that boy who was a camel driver.. Really touching! My cousin suggested me that Gadbad is outdated... So we tried something else. Thanks! I am reading this post sitting at Udupi, my second visit to this place in a month. Certainly a nice place to travel to. Oh I never travelled to Udipi...But I got some important friend of mine who belongs to that place. 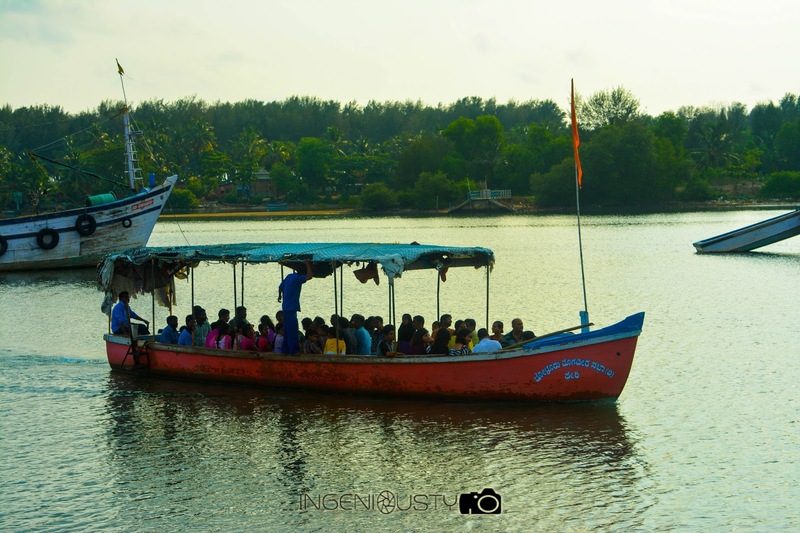 Mangalore is awesome always :) And I must say you made me travel through my place of birth through this post :) I so miss it! Hoping to go there soon.